In Book Three: Judges, we see the slow start of an uprising against Reverend Price’s tyranny. The section begins with Orleanna’s point of view, and she shares exactly how Reverend Price came to be a religious extremist instead of the handsome preacher she first met. His involvement in World War II, and his guilt in feeling as though he should have died with his men during the Bataan Death March led him to believe that God is always watching him and judging his actions. After months of enduring abuse and hardships in the Congo, the Price women begin separating their own beliefs from Reverend Price’s. Leah, who once held her father in the highest regard, begins to see through his religious fervor, and questions his harmful effect on the African culture. Adah, although already a non-believer, learns through Nelson that the attendance of her father’s Sunday sermons comes from villagers who were shunned from the old religion and accept Christianity for the possibility of good luck. Ruth May, who is very ill and bedridden, overhears her mother begging her father to let her take the children away from the Congo. Ruth May also tells her mother she wishes her father to never return when he leaves for a short period of time. Orleanna eventually rises from her own bedridden state and has a revelation. She begins to disobey and even disagree with her husband, and takes her and her children’s future into her own hands. Soon after Orleanna’s demeanor shift, Brother Fowles returns to the Congo with his Congolese wife and the village celebrates his arrival. This shocks the Price women because the Congolese have been fairly cold in their acceptance of the Price family. However, Brother Fowles brings light to Christianity, instead of the usual darkness surrounding Reverend Price’s own version, and speaks of a God that is accepting and compassionate toward the Congolese people. He even alludes to their faith being stronger than Western culture’s spirituality because of the grace they’ve received and hardships they’ve endured. After Reverend Price loses in a battle of Bible wits versus Brother Fowles, it becomes even clearer to the Price women that his methods of salvation are worthless, and they must leave the Congo during this dangerous time of political unrest. Do you sympathize with Orleanna’s detailing of Reverend Price’s story and guilt, or do you think she was making excuses for him because of her own guilt? 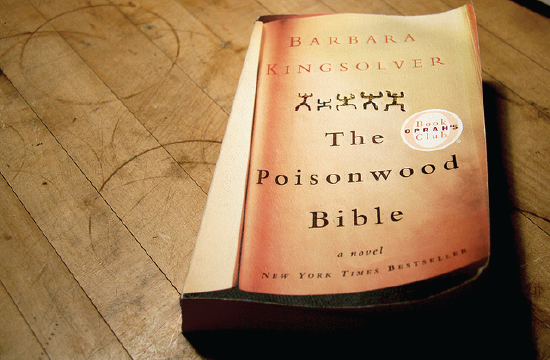 Kingsolver gives voices to all of the Price women. Why do you think that she does not ever give voice to Reverend Price’s point of view? What do you think changed Orleanna’s demeanor? What caused her revelation? Do you agree with Brother Fowles’ thoughts on Christianity and his acceptance of the Congolese culture?